At the beginning of the assignment, many of us exchanged a token gift that represented our country — initial post here. Over the past 2 week, more teammates brought forth their cultural gifts and it was one of my favorite parts of this adventure. It was wonderful to learn about new countries, new cities, new religions, new customs, etc. Wouter from Belgium … what else would you expect, but chocolate! He shared many varieties after dinner one night and then I went back for a full bar. What can I say, I have a sweet tooth. 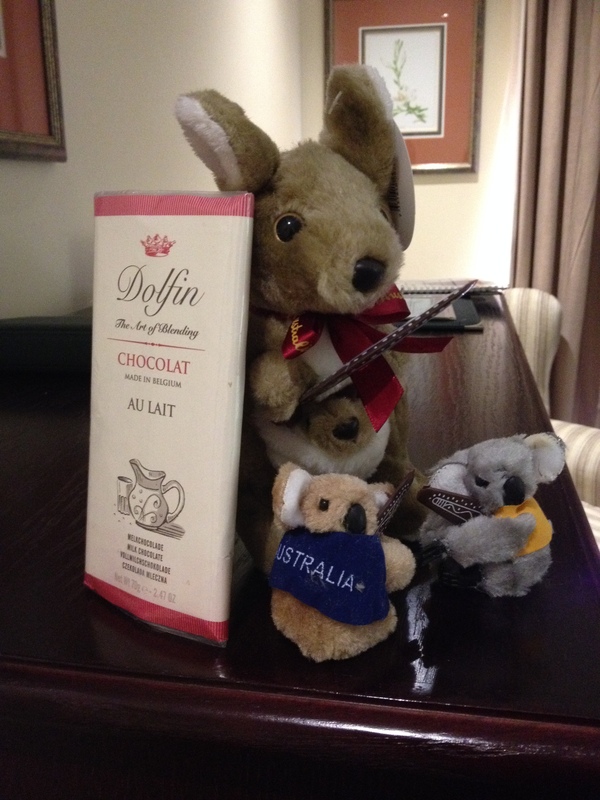 Chandra from Australia (but Sri Lankan) … stuffed kangaroo for me and stuffed koalas for the kiddos. How sweet of him to think of our families. 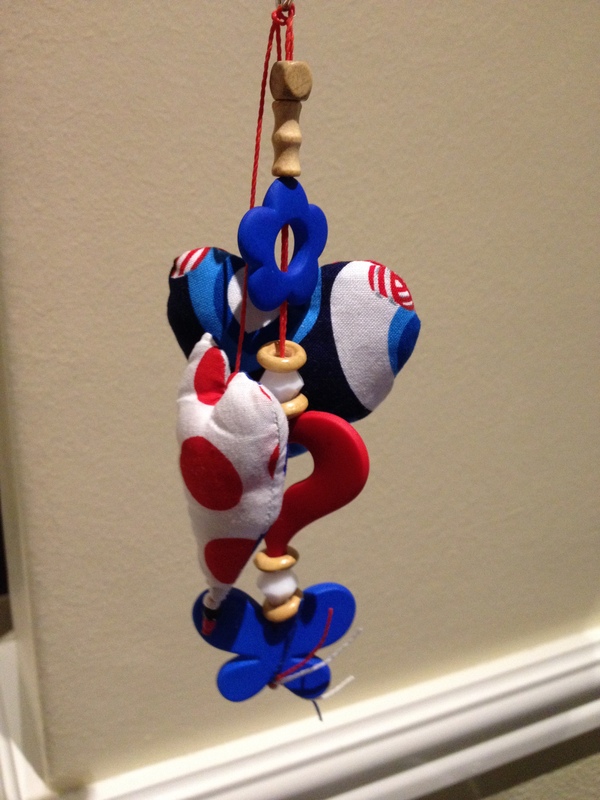 Paola from Costa Rica … a beautiful handmade ornament / key chain in Costa Rica colors to signify family and that they are always close to the heart. To make it even more meaningful, her mother made these for us. Sanjay from India and Valentina from the US (and Austria and Bosnia Herzegovina – she’s truly global) … they took a unique approach and didn’t provide something from their own culture, but something from the culture we were immersed in. 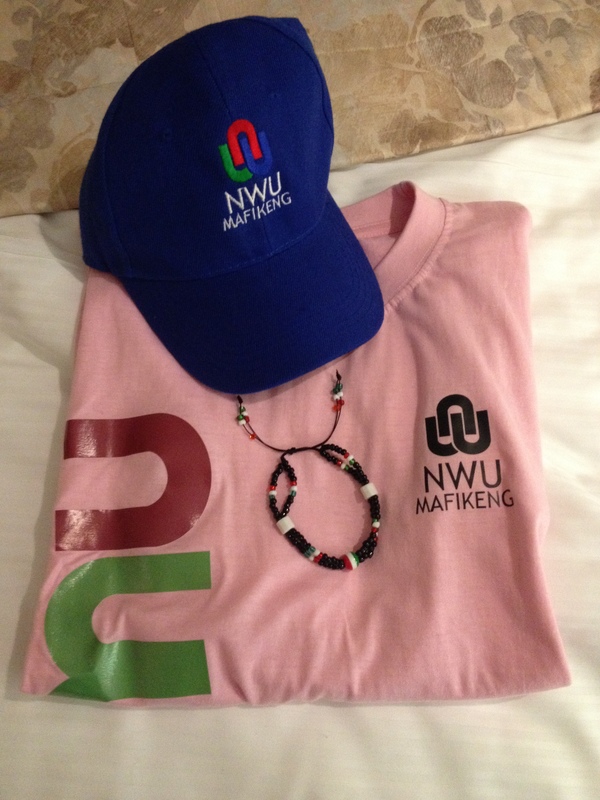 Tshirts and hats from North West University in Mafikeng where we stayed for 3+ weeks. What a great idea!